For the first time since before I’d arrived in Chicago, I slept through to 07:00 when I was awoken by people in the next room. I’d already decided I wouldn’t be going for a run, which was fortunate as for the first half of the morning it was raining. Once again we went to the adjacent restaurant for an American breakfast, though this time they replaced the eggs I didn’t want with some sausages. It was nice to have, even if it wasn’t the best breakfast I’d had. James needed to buy some beer for one of his friends so after loading up the car our first task was to drive into Gatineau where it would be cheaper. We weren’t just driving into Gatineau though - it was the other side of the city, beyond the Gatineau Nature Park. In Ontario the signs were bilingual; but it seems that in Québec the signs are just French. We weren’t there long and headed back across the provincial border to visit the Canadian Aviation and Space Museum. Based on the distance from the Ottawa River crossing, it seemed unlikely we would have gone there on foot without having wasted a lot of time. Things of course are never straight-forward. James went to pay for the parking, but found the machine ate his money without providing a ticket. They have a helpline for it, but they never answered so we had to go inside to get it sorted. In doing so it meant we actually had a pass for the day rather than just the couple of hours we’d planned for. In the lobby the first aircraft we saw was the Snowbirds CT-114 that was suspended upside-down overhead. There are a few more suspended inside the building, but most are arranged into areas on the ground which make them easier to look at up close. One of the best ones on display, in my opinion, is the Lancaster mk. X. It’s arguably the biggest aircraft on display in the museum, and similar to one I’ve seen in flight at the annual Cosby Victory Show near home. Other planes were interesting too - some that are supersonic, some that had been used during the second world war. 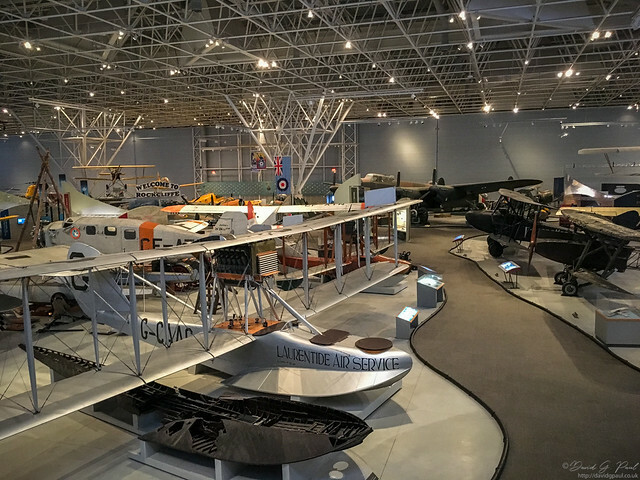 Between everything they had on display it gave a good picture of the history of Canadian flight. Of course this being an Aviation and Space museum meant that they also had some information on Canadian involvement in space - such as the Canadarm. This was used by NASA in their space shuttle program when cargo needed to be moved. There’re also photos of the various Canadian astronauts such as the famous Chris Hadfield - known for his use of Twitter, and the current Governor General Julie Payette. On our way back, from a certain point of view, we stopped by the Diefenbunker. Although it’s west of where we were, it was a bit of a diversion to get there. We arrived at the bunker just after 13:00, and yet to have lunch, we began our tour. For this one it was CAD$17.50 and estimated about an hour. We figured at our usual pace, we’d have it done in less than the recommended viewing time. We were wrong. the sleeping quarters. I think we covered about three floors of the facility with the deepest being the location of the food store. 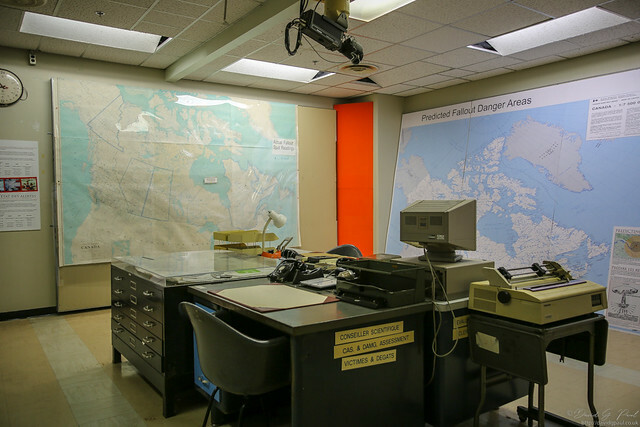 There are quite a few types of room to be seen, such as communications rooms, an amateur radio room, cafeteria, and many others. Since this place would need to survive a nuclear war there’s everything they’d need to continue the Canadian way of life - including a server room. 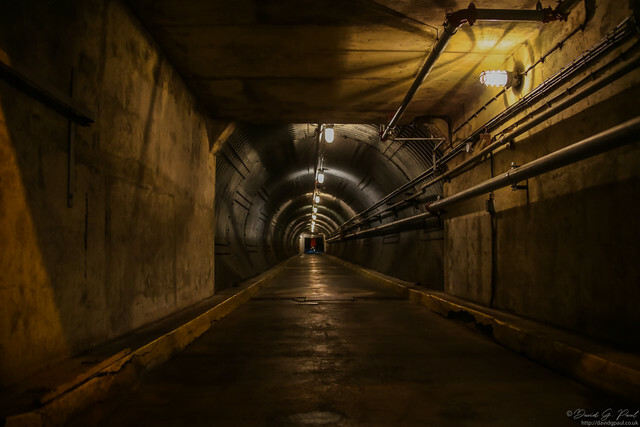 It’s hard to believe what life must have been like in the bunker, especially as it was in use up until 1994. A lot of the literature in the bunker describes the construction of it, and the purposes for each room we could see. When we finished it’d taken a little over an hour - more time than we’d expected. We could finally have our lunch and begin the long journey back to Ajax. 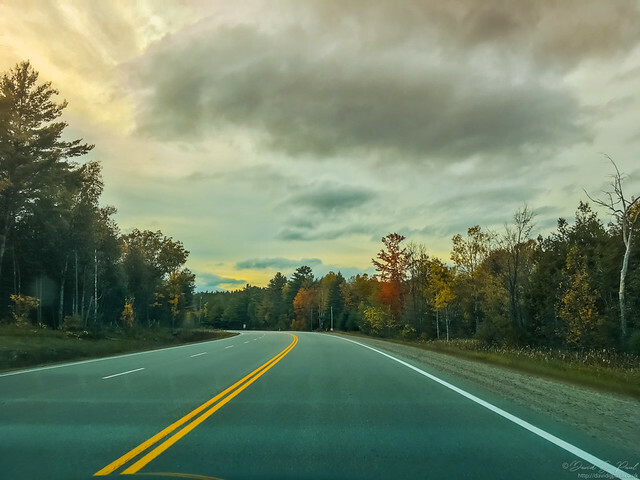 It really was a long journey too - it took longer than we expected as the road was a slower one than what we’d been on and even doing the speed limit it was impossible to cover it in the time that Apple Maps said it would be. Hours later we took a break in a small town called Tweed, and continued on passed sunset until we arrived back in Ajax. It was back to home cooked meals for a couple of nights before I’d be flying home.